This Saturday Kophie Hulsbosch’s Future Apparel joins forces with Creep Threadz for a pop-up shop to launch respective new collections. 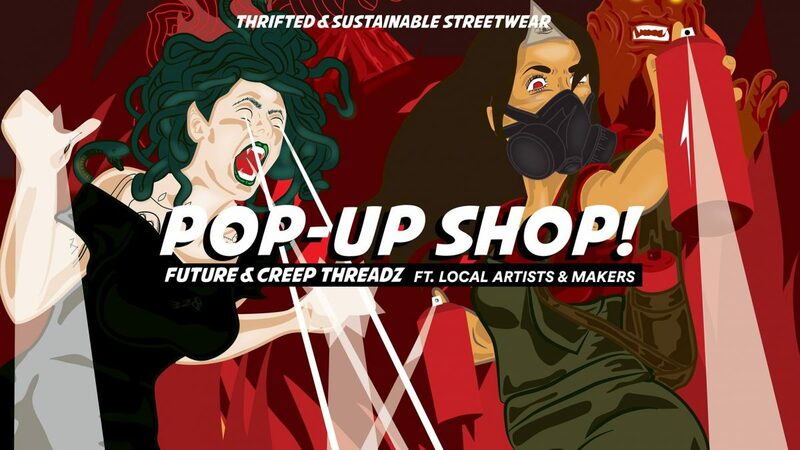 Featuring the good feels of a sustainable approach to clothing and fashion, the Future X Creep Threadz pop-up will present a range of one-of-a-kind pieces you won’t find anywhere else. Following pop-up shops at both Embassy and the Art Box, Kophie declares that she wants “to end the year with a bang” and present the development and refinement of Future‘s approach and aesthetic, alongside a selection of friends and creative forces. Based on graffiti culture, the new Future collection is a reflection of hip hop’s central influence on Kophie’s life. Clothing also presents an alternative vessel for her own graffiti writing, one that bypasses the beef she has encountered recently on the streets, and in fact embraces community “by collaborating with local and international graffers that haven’t necessarily been in a gallery space before.” Importantly, Future‘s focus on highlighting an alternative to ‘fast fashion’ and more sustainable options that might combat our impact on the planet, is still evident, both in the use of sustainable clothing, but also in declarative illustrations such as: “The Future is Bleak”. “Sifting through second hand shops, and even dumpsters, to find clothes that are in good enough quality and not warehouse crap” (and fit the street wear and hip hop aesthetic) and then customizing each item with a fitting alteration is a lengthy process, and imbues the pieces with a unique value. Alongside clothing, the Future collection will also include re-purposed broken skateboard decks (a large contributor to landfill and maple deforestation Kophie points out), and due to her awareness of the impact of spray paint, Kophie plans to recycle aerosol caps and cans. Creep Threadz is a new brand from Lyttelton artist McChesney-Kelly Adams, packed with dark imagery which, like Future‘s sustainable approach, is printed on second-hand items. 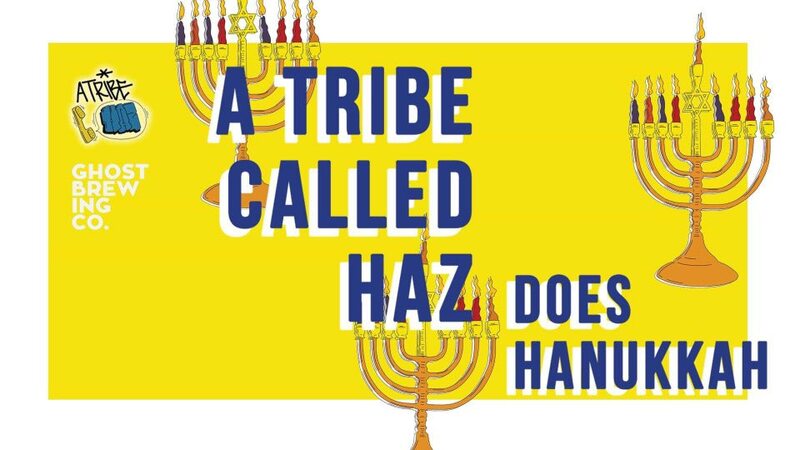 Creep Threadz also has a socially-minded approach, with a portion of proceeds being donated to a mental health foundation. The pop-up shop will see the room divided in two, with Future‘s graffiti inspired items on one side, Creep Threadz‘s darker, quirky collection on the other. Three other local clothing brands will also be represented: I Heart Thrifting, who re-sell second hand vintage; oscottworld, a young fashion designer from ARA, and artists residence, two creative brothers with a passion for the finest street wear.